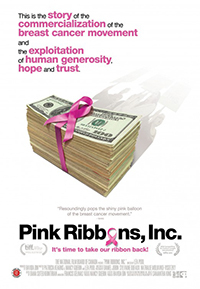 Two amazing documentaries, Pink Ribbons, Inc. and STINK!, highlight big problems in breast cancer and are helping galvanize important action for change. Join us for this webinar giving you a unique opportunity to hear from Ravida Din and Jon Whelan, the creators of these groundbreaking films. Hear about why they were made, the importance to breast cancer activism, and how the creators hope to change the world through their work. Pink Ribbons, Inc. pulls back the pink curtain on why we aren’t making more progress in ending the breast cancer epidemic. This game-changing documentary shows just how much the shiny pink status quo has cost us—and how little we’ve gained from it. This now legendary film includes dynamic footage of our former executive director, Barbara Brenner. STINK! 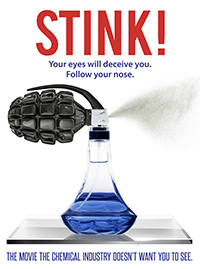 addresses the hidden toxic chemicals that all of us are exposed to daily. The film exposes the hypocrisy of trade associations like the American Chemistry Council that spend hundreds of millions of dollars influencing the political process and then hide behind the toothless laws and regulators that they influence. Our presenters on the webinar will be Ravida Din, producer of Pink Ribbons, Inc. and Jon Whelan, director of STINK! They’ll discuss what motivated them to make these game-changing films, dig into the problems of pinkwashing and toxic chemicals, and give you some concrete tools and ideas about how to change the injustices these films address. I look forward to “seeing” you at this unique webinar with these two great filmmakers and advocates.